It’s never too early for Brats in Portage, Wisconsin. The return on investment for the Skate Park this Saturday was huge. Partnering with Ace on Earth Day weekend was huge. Several shoppers come to Ace on this weekend to freshen things up. One young man walked out of the store with eager anticipation carrying a pine tree seedling. 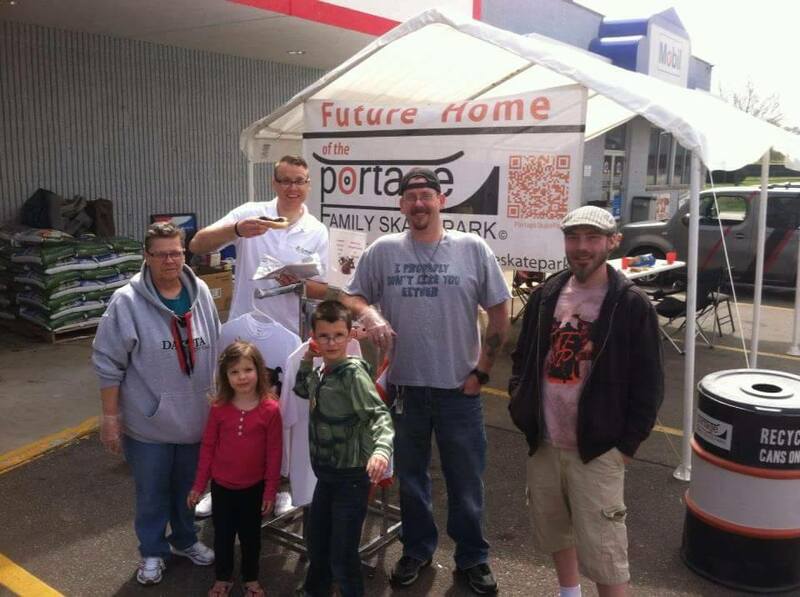 A customer rushed over to buy a brat stating “I was going to go to another restaurant, but I’m here to support your great cause!” Several brats were sold and several donations were made, totaling a large profit of $265 for the PFSP future additions! Another huge win for the PFSP in 2016 is the decision to partner with local businesses at Brat Huts to produce greater community togetherness! This weekend, Cory Otto of Grean Carpet Clean along with two of his employees, Jacob and Sherry, served the community with the PFSP. There’s nothing more fun than connecting with the community, brats on the grill, and corn hole bags being thrown around. The PFSP Leadership would like to thank Grean Carpet Clean for serving with us! Watch for more win-win partnerships this summer. We know there is nothing more fun than serving Portage with the people you love! Debbie Little, Jacob Pierson, Brian Nicholson, Andrew Tamminga and Pierson kids.